Geared towards a spot among the best phablets on the market, the 6.3-inch (6.28-inch, to be exact) Oppo R15 boasts a high-caliber array of pros and cons. In spite of its flagship DNA, however, we still caught a few awkward specs along the way. Let's start with its setbacks, shell we? 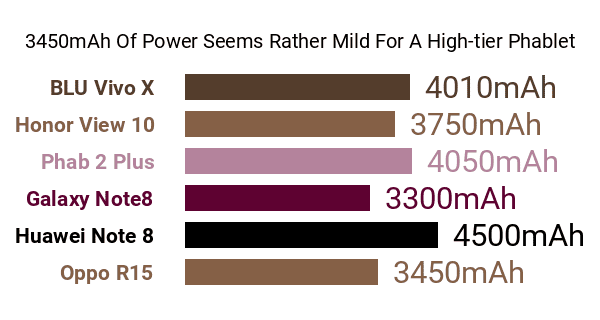 First off, it falls short of the 4000mAh battery capacity boasted by several of its high-end large-screen rivals, coming with only 3450mAh of raw power , which obviously does not sound very reassuring, coming from a phone with over 6 inches of screen real estate. It does, however, come with Oppo's self-branded VOOC Flash Charge fast-charging technology, promising up to 2 hours of talk time in under 5 minutes of charging . 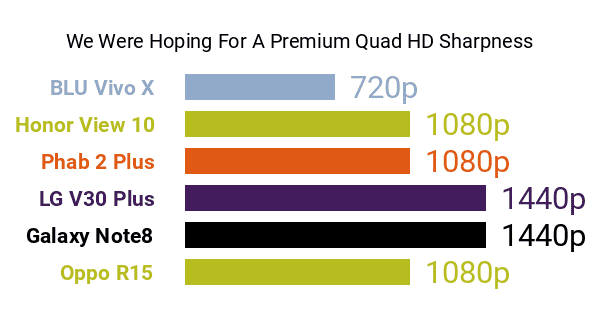 As for its display, a premium-class QHD/QHD+ resolution (1440p) sounds like the perfect match for its wide 6.3-inch facade, but instead, it went for a rather mild (by high-end standards) 2280 x 1080 Full HD+ resolution . As a result, its pixel density count peaks at only 401ppi , shying of the 500ppi VR-caliber threshold -- discover some VR-driven smartphones here. Its expansive and rare (as of this data-driven review) 19:9 aspect ratio makes those setbacks a tad forgivable, though. 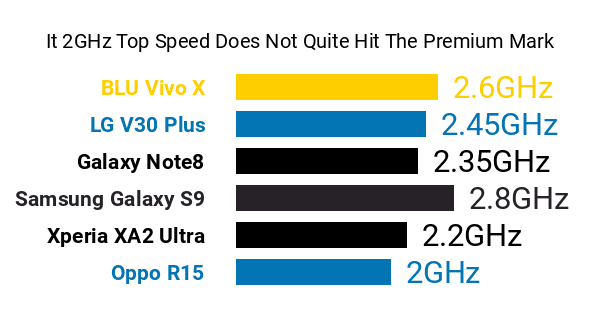 Despite unlikely to join our list of the fastest smartphones, the R15 could still fare well versus other large-screen flagships, running on a Helio P60 dual-cluster eight-core processor clocked at 2GHz + 2GHz (The second cluster is usually slower than the main one). Accompanying its forenamed engine is a Mali G72 MP3 graphics processor. Moreover, it boasts a robust 6GB RAM and a generous 128GB internal memory that can be expanded by up to 256GB , both of which scream heavy multimedia. 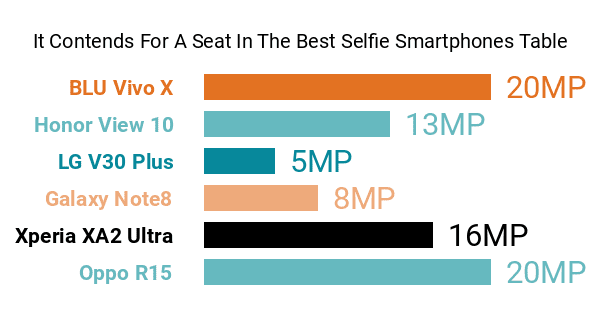 The R15 boasts a high-resolution 20-megapixel f/f.20 front-facing camera that brings to mind some of the best smartphones for selfies available. On the opposite end, it comes with high-class dual rear camera made up of a 16-megapixel f/1.7 primary camera and a 5-megapixel f/2.2 subsidy cam, the latter enabling features like Dual Bokeh. Both its front and rear cameras are accompanied by artificial intelligence (AI) imaging technologies , such as smart scene recognition and AI-powered portrait beautification. Encasing its pros and cons is a double-sided glass body with a fashionable gradient finish of either Hot Red, Star Purple, or Snow White. It runs on ColorOS 5.0, which is an Oppo-branded Android 8.1 Oreo overlay. With all that said, the Oppo R15 looks to win the hearts of tech-savvy smartphone shoppers who are very scrupulous when it comes to multimedia and mobile photography.